Skiathos island offers an abundance of fun-loving and fascinating activities to indulge in. 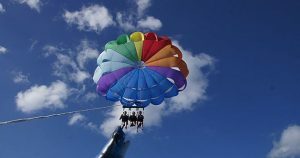 From exhilarating sea activities to tackling the mountains and tasting the nightlife, there are plenty of things to do while visiting Skiathos, and indeed something for everyone. 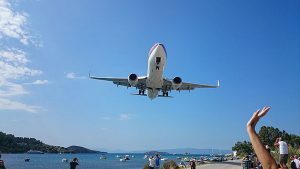 Below, you will find a list of the top 10 things to do in Skiathos Island, on the way to making the very best of your time there. Thanks to beautiful natural scenery infused with ancient energy, Skiathos is prime hiking territory. Featuring the likes of fairy-tale like forests, undulating hills and river valleys that are traversed with interwoven trails, some areas in Skiathos are indeed said to be best appreciated on foot. Wooden signs with clear letters will lead you towards interesting sights such as the Evangelistria Monastery. 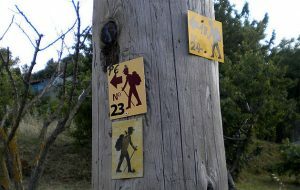 Near and round from Villa Eleven you can find a numerous trails to lanch your first hiking attempts in Skiathos. While in Skiathos, why not see the countryside on horseback? Actually, doing so will amount to one of the very best ways to explore the Island, as opposed to being limited when using a car. 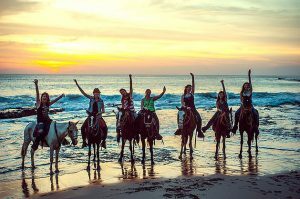 Close to Koukounaries, you can find an equestrian centre, from which you will start your trek on your way to soaking up spectacular views of the coast. 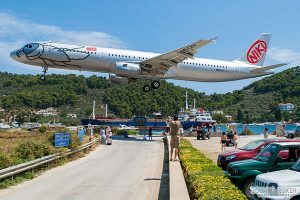 Packed with cosmopolitan beach bars, karaoke places, live rock bars and epic disco clubs, Skiathos Town hits all the right spots when it comes to awesome things to do in Skiathos. Once in Skiathos, it’s not hard at all to get your groove on with solid directions that point you towards the nearest pop or techno club, amongst others. Ready to set sail across the beautiful Aegean? In doing so, you will get to feast your sights on much more than tranquil waters, to the likes of the historical arc of Greek architecture, as it is evident even in the humblest homes of Skopelos. Board your boat from the port of Patitiri on the neighbouring island of Alonnisos. For all that the marvellous Island of Skiathos offers, it may well prompt one to want to give something back. The ideal way to do this, is by visiting Skiathos’ famous Dog Shelter that’s located in the hills above Troulos. 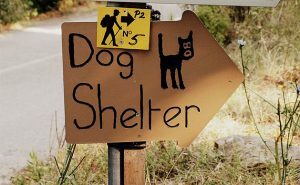 At the shelter, you will have the opportunity to be accompanied by one lucky dog, along with an experienced guide, for a one-hour walk through the hillside. One of the most fulfilling and selfless things to do in Skiathos, indeed. Regarding things to do in Skiathos, the Island offers water sports galore! The most likely place to find a water sports centre around Skiathos, would be on most any of the beaches you will come across. Once there, you can make your pick from water-skiing, jet-skiing, stand-up paddling and banana rides. Alternatively, you can simply enjoy the stunningly blue waters in your own unique way. 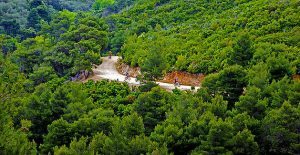 Believe it or not, the Island of Skiathos is riddled with an abundance of exciting mountain biking trails for each and every level. Various mountain biking clubs are located throughout Skiathos’s diversified landscape, from which you can rent a bicycle on your way to exploring the more uninhibited nooks and crannies of the Island. If you’re visiting vibrant Skiathos during the height of summer and have an inclination for pulsating street-life, you may do very well to pay a visit to the Bourtzi fortress by the old harbour in Skiathos Town. 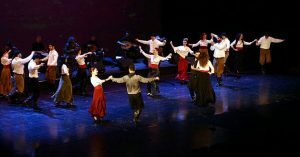 Now used as an exhibition centre and open-air theatre, the Bourtzi festival features a hosts of creative entertainment, from the likes of ballet performances and musical concerts to traditional Greek shadow theatre. 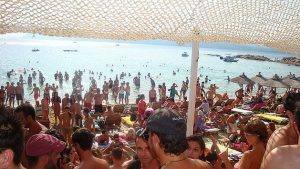 Never a dull moment in Skiathos, for ‘summer’ is synonymous with ‘festival’ in the capital. 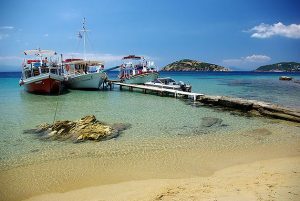 Almost needless yet necessary to say is that Skiathos offers some of the finest scuba diving opportunities in the world. 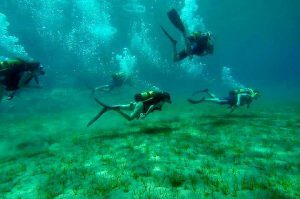 Various Diving Centers are based around the most popular beaches in Skiathos, where you will be presented with the opportunity to get up close and personal with some of the most amazing marine life that Greece could possibly serve up. Amidst the uber-blue waters that sparkle with serenity, you will undoubtedly have one of the best scuba-diving experiences of your life. You needn’t have any experience prior to diving in Skiathos, for all you need to bring is a taste for adventure and a good attitude.